8241 Rocky River Road, Oakboro, NC 28129 (#3407187) :: Robert Greene Real Estate, Inc.
Beautiful home fully remodeled with hardwood flooring and tile. New Cabinetry with Quartz counter tops, new Samsung Stainless Steel Appliances. This home also has newly redesigned bathrooms with subway tiling within the traditional tub/shower, double granite vanities and double entry doors from the main bedroom and hall. The Laundry is in the finished single car garage utility room. The enclosed garage has a new door and lift. Many other new features. 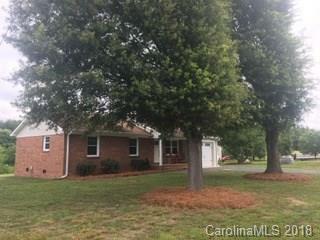 This is a brick home with an immaculate large front and back yard. 0.61 total acres.